Why are you interested in adopting a cat? What is your ideal breed type/mix? Is there anything else you would like to add about your family? 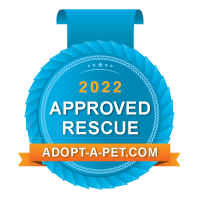 By submitting this form I certify that all the information on this application is true and I understand that false information may void the adoption and future adoptions from this organization. Further, I understand that the completion of this application does not guarantee an adoption.